Superpowers. Really. Why is it deemed necessary to state that the cat family have ‘superpowers’? You can achieve awe and drama without the B.S. 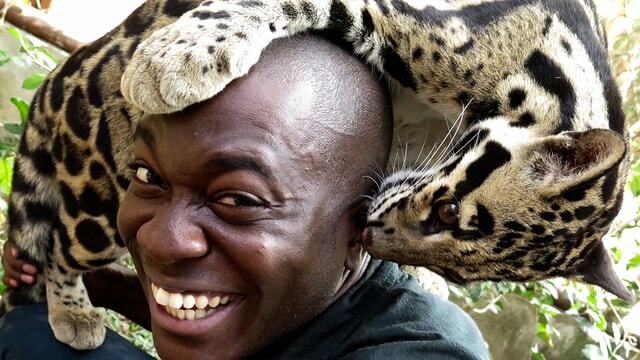 (Because big cats are intrinsically awesome – they sell themselves!) You can say they have incredible hearing, powerful weaponry, amazing agility, and even say that they are beguiling, mysterious – all of these things are true and help to convey that sense of drama and awe without resorting to likening them to bloody power rangers! You’ve already read my opinion on what I call APE TV and coffee table conservation programming, but there was a scene in Big Cats that particularly caught my eye as being poor conservation. If you watch it, you’ll know exactly which bit I’m talking about (I hope). 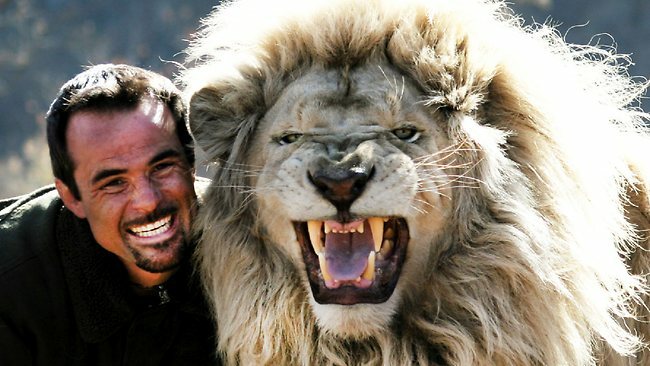 South African ‘big cat conservationist’ Kevin Richardson (AKA ‘The Lion Whisperer’ – I kid you not) basically hangs out with lions. He has integrated himself into a pride of lions in a conservation area (Richardson’s ranch), and he has essentially become part of the pride. Now, in a sense, this is valuable behaviour work akin to experimental archaeology, as he seems to genuinely have garnered an insight into the social dynamics of lions which may otherwise not have been achieved. But it’s not, in my opinion, conservation. So what do you think? I found this very thought-provoking. 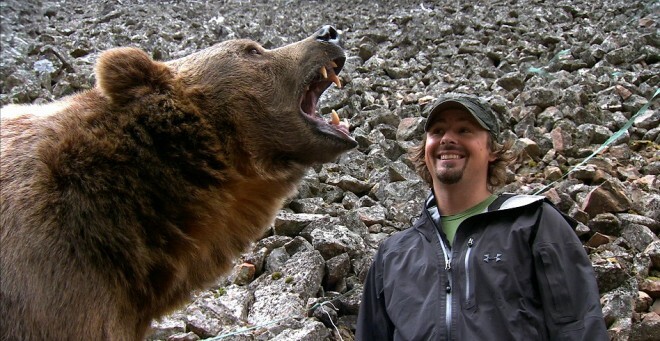 How do we know when we are projecting human feelings and emotions onto a wild animal? If we approach conservation vulcan-style with only logic and no emotion, there are certainly drawbacks (lack of empathy, poor uptake when campaigning for financial and political aid for projects, lower profile of conservation concerns). I’m not immune to the persistent tug of a charismatic animal (I’ve fallen in love with a few bats that I’ve had in care over the years – and yes, their personalities DO vary considerably!). I watched the programme you referred to, the other evening. Great in terms of highlighting the diversity that exists within one group of animals and if it gets more people watching and showing an interest; that can only be a good thing. I’m with you on the Mears/Grylls explanation and would always prefer to spend an hour in the company of Ray as opposed to Bear. However, there are some interesting and valid points that he raises on his programmes and in particular, global warming. Having watched Cesar Milan work his magic with dogs and owners alike, I’ve often quoted him when giving advice to friends and acquaintances. It is important to distinguish between what he does and what Richardson has chosen to do with the wild cats. These cats have the ability to kill him with one swift snap of their jaws. I believe they must be given respect before anything else. Yet they are beautiful, fascinating and captivate our minds and hearts. I don’t know the answer because I don’t believe there is one right or wrong answer. I think that there is a place for both emotion and empathy in conservation as without it, many would cease to continue campaigning. It is when that emotion and empathy are used for the wrong reasons but I am unable at this stage to fully detail what I think they are. I need to give this some more thought. Thank heaven that my comment made sense. I often know what I want to say but somehow, it becomes tangled in the web that is my brain and ends up 3 miles short of where I wanted to be. It got me thinking though and thinking is great. Do you think there will ever be a time when it will be common practice to have large cats as domesticated animals? I pray that time never arrives. Humans need to know when it is best to leave well alone. We are the cause of too much damage. Interesting and must try and see if I can see the programme here. I am wrestling with a story that needs us to empathise with the wild while not making the creatures too human like. But I think we need to have empathy for conservation and good science.